Free standing design in waxed pine and white. 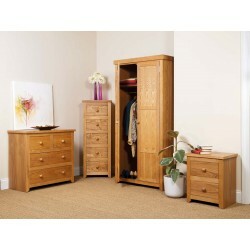 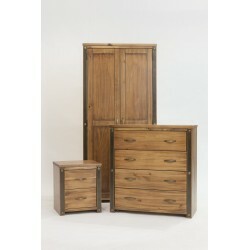 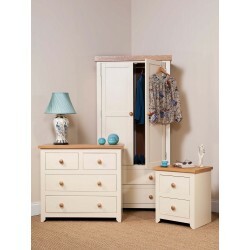 Set includes 2 Door Wardrobe, 4 Drawer Chest of Drawers, and 3 Drawer Bedside Cabinet. 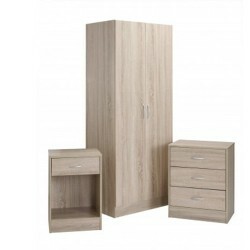 Wardrobe: H 185cm W 86cm D 56cm approx. 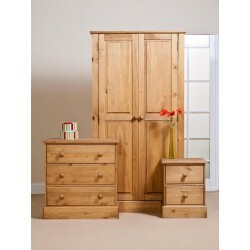 Chest: H 104cm W 83.5cm D 43.5cm approx. 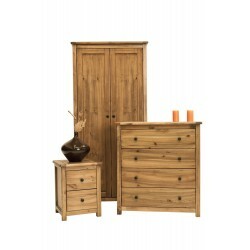 Bedside: H 66.5cm W 52.5cm D 40cm approx. Frame is 16mm painted MDF sides, 16mm solid pine top and 3.8mm pine faced plywood back. 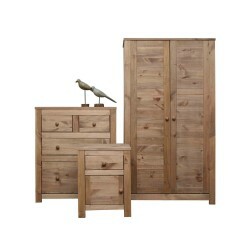 Internal components are 16mm solid pine shelf & 25mm solid pine hanging rail. 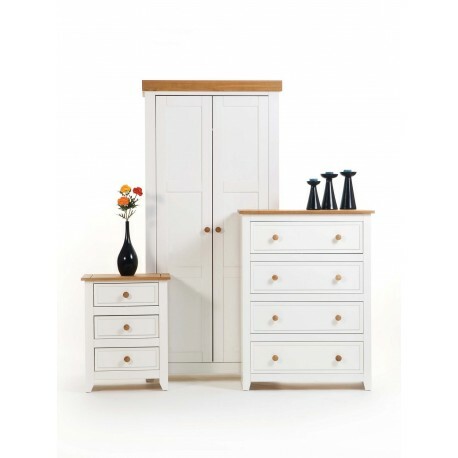 Doors are made from 18mm door frame with 9mm panel insets with 3 adjustable concealed hinges with fixings to each door & wooden handles.